Poll: Are you crazy enough to join? Yes - Let's make this happen! No - Are you out of your mind?! Maybe - Meh, I'll give it some thought. I've been wanting to make the trip down to the Tail of the Dragon in North Carolina for over a decade, but just haven't done it. 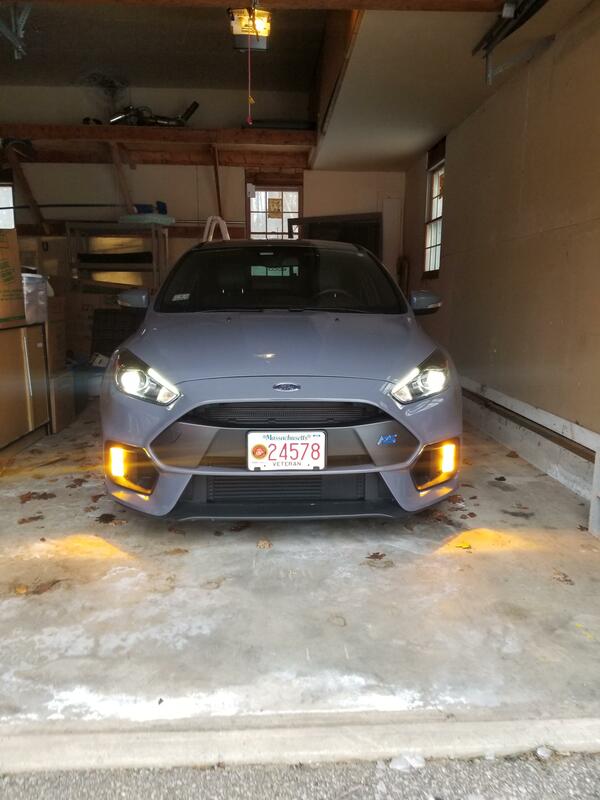 Well, it looks like there's a Focus Fanatics event scheduled at the Dragon for June 14-16 (https://tailofthedragon.com/events/). I haven't dug up much on the event itself, but they're meeting/lodging at the Fontana Village Resort (300 Woods Rd, Fontana Dam, NC 28733), and they have a handful of options (single/double room, cabins, campsites) at a decent rate. When I looked yesterday, it was $123/night. I started to work on the logistics of it, and have a rough timeline in the works. 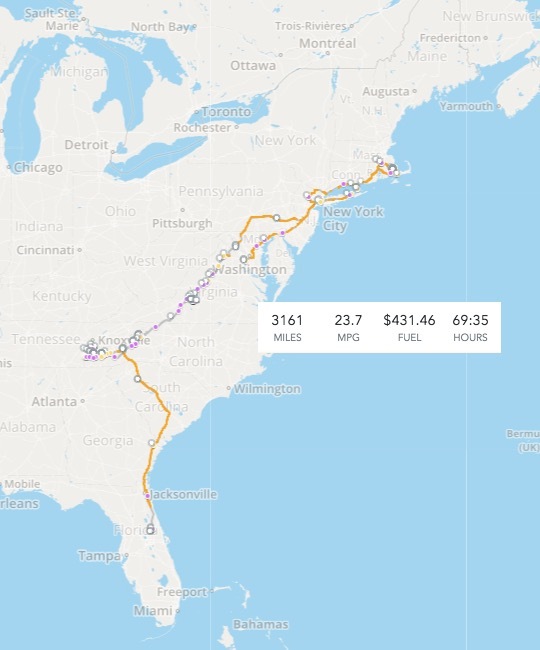 It's roughly 950 miles, and an 18.5-hour trip (accounting for (4) 30-minute pit-stops and 2 hours of traffic delays). For anyone interested, my suggested starting point is the Charlton Service Plaza (Westbound); leaving either around 12pm-2pm (estimated arrival: 6am-8am) or 8pm-10pm on the 12th (estimated arrival: 2pm-4pm). Personally, we'd be heading back north around noon on Saturday the 15th since Sunday is Father's Day. It's been quite some time since I've planned a convoy in the Marines, but I'm hoping to have a well-developed plan - should anyone be crazy enough to join. hahah awesome work. there was a trip planned last year on this forum, "EB take over the dragon" or something. I drove over from Illinois and wound up driving the dragon around 1am in the fog with my fiance and our dog in the car... so that was alot of fun. i think we are planning another weekend meet again this year, check the events section for more info. it was at that same fontana village, WITH a firepit reserved! I posted there too; essentially just directing people here for this particular trip/date. Unfortunately, I wouldn't be able to make it for the May or September dates suggested in Events. There's a 90% chance that I'll make the trip regardless of any other interest, but traveling as a group is always more fun! I took the road less traveled, and that has made all the difference. If you get ANY sort of extra time off, do yourself a favor and drive as much of Blue Ridge Parkway and/or Skyline Drive on the way up or down. That is definitely on the agenda. For haha's, I manually plotted the route along the entirety of the BRP from the North Carolina border. That ended up at around 1150mi, and 22 hours of driving (BEFORE accounting for stoppage time). Yeah, the speed limits on the two roads make for a time-consuming trip. A friend and I drove every single foot of both roads last year, took three days, but worth it ! Wow, that was quite the trip for you, huh?! I've done MA to FL for Disney, MA to NE for a half marathon (left Thursday, arrived Friday, ran Saturday, and started the drive home 2 hours after finishing), and plenty of trips from Camp Lejeune to MA, so I'm no stranger to long drives. Now, it's more of the free time and practicality of stuff with all the stuff that comes with life! We towed the bikes down to the dragon a few years back. VERY worth the lengthy trip to get down there from MA! Would suggest taking a few extra days and venturing around the mountains. Some of the faster, still windy runs were more enjoyable and scenic - not to mention less congested. Hey, Sturbridge! We just moved to town in December, so maybe I'll see you around! Unfortunately, we won't be able to take extra time. As is, it's virtually a down-and-back trip; save for the hotel stay. I'm going to try to work Skyline Drive and BRP, maybe one southbound and one northbound. How does it handle in the tight twisties...Tail of the Dragon?